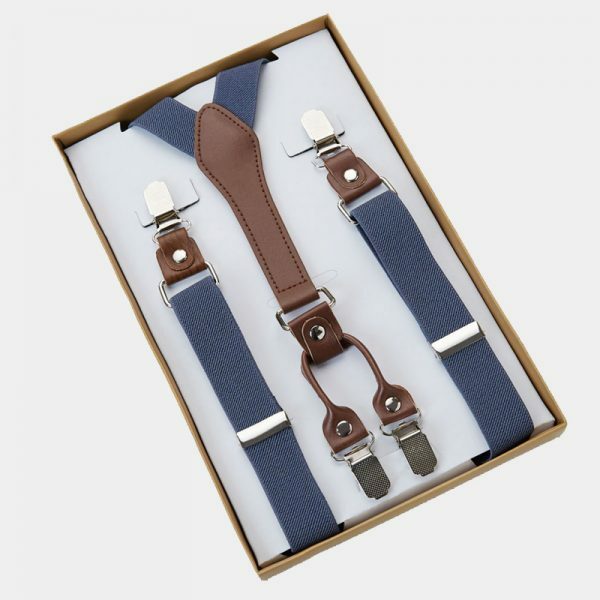 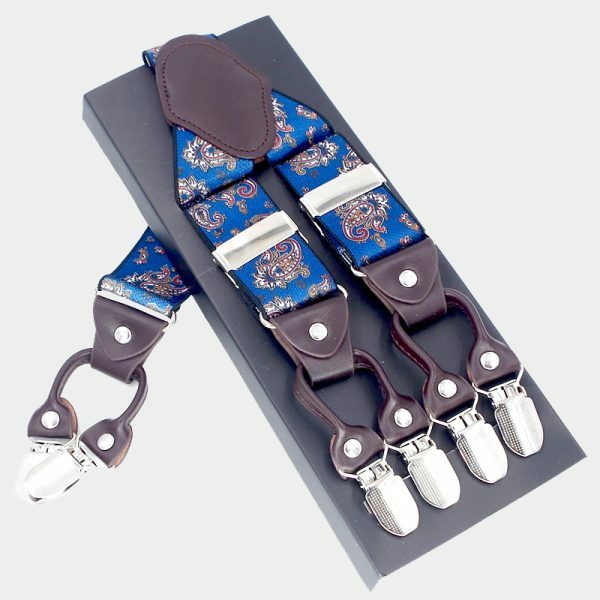 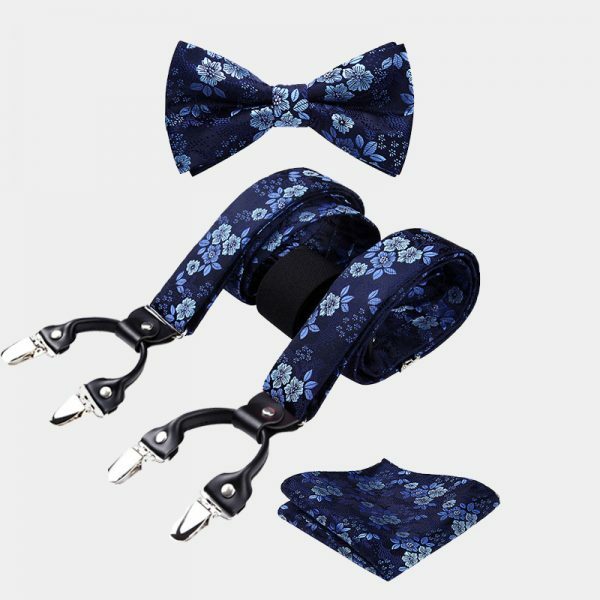 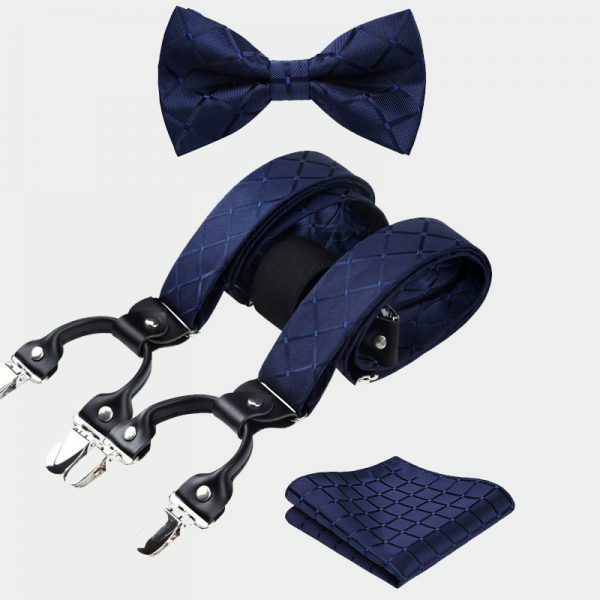 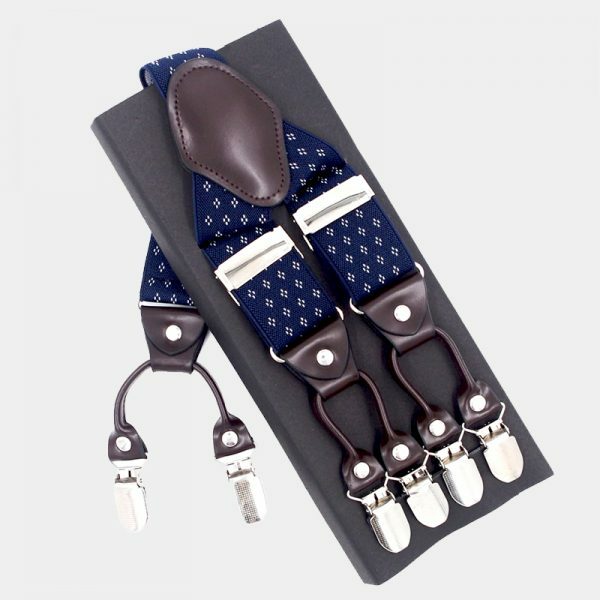 Gentleman’s classic steel blue suspenders are a smart and stylish addition for every man’s accessory collection. 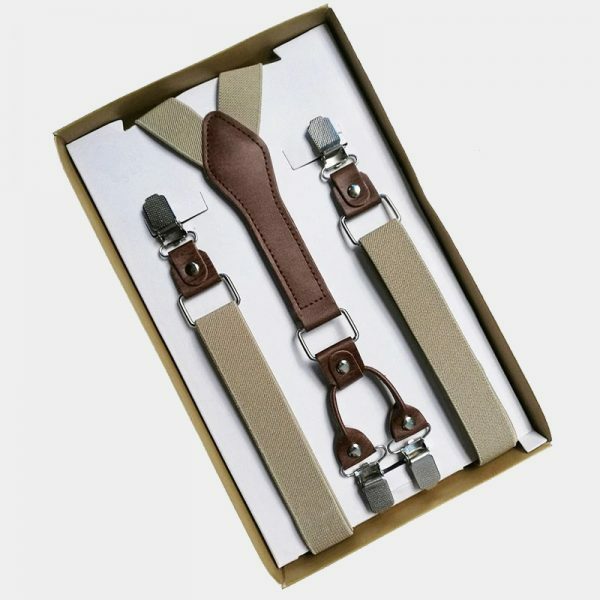 A popular accessory that makes a fantastic alternative to a belt, these great suspenders take your look from basic to the best. 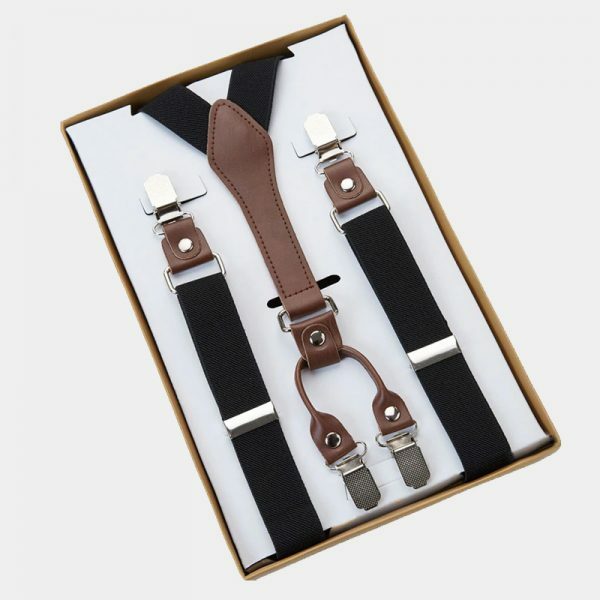 Elevating your attire is easy by incorporating these dapper classic black suspenders into your wardrobe. 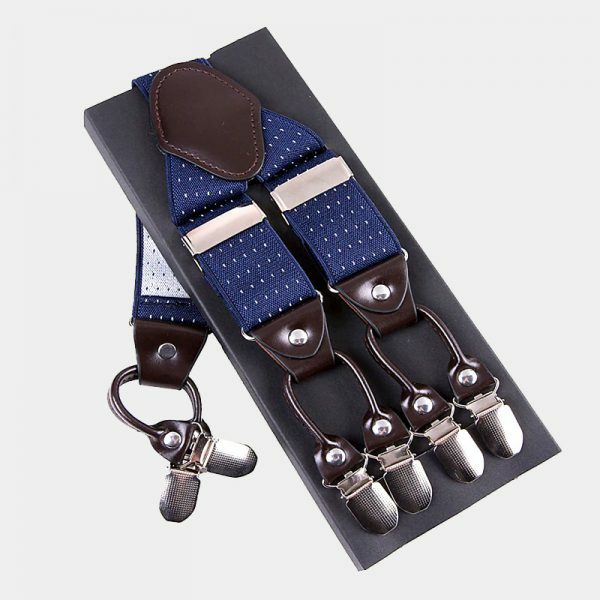 They make a perfect addition for your casual, business or formal wear. 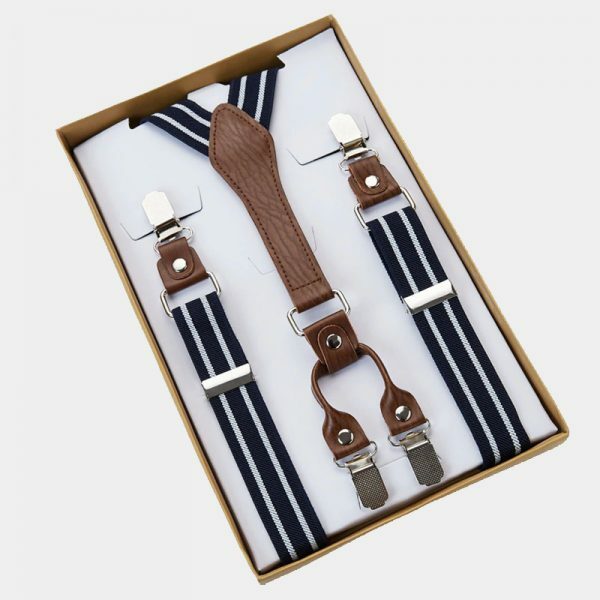 Change up your entire look with these classy men’s suspenders and do it all without breaking the bank. 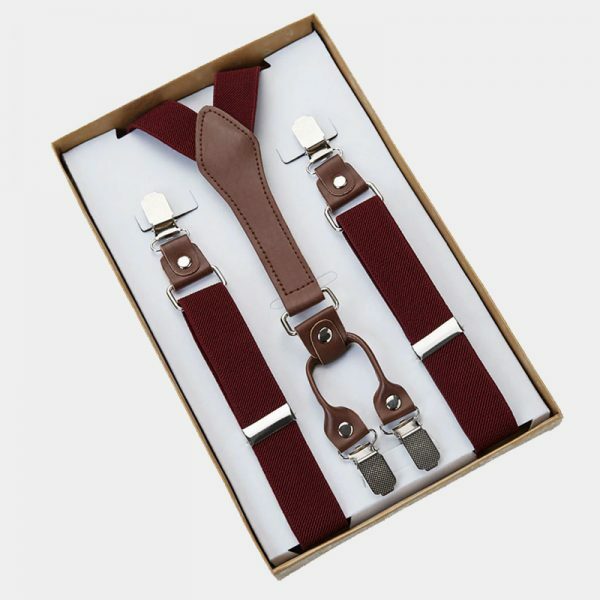 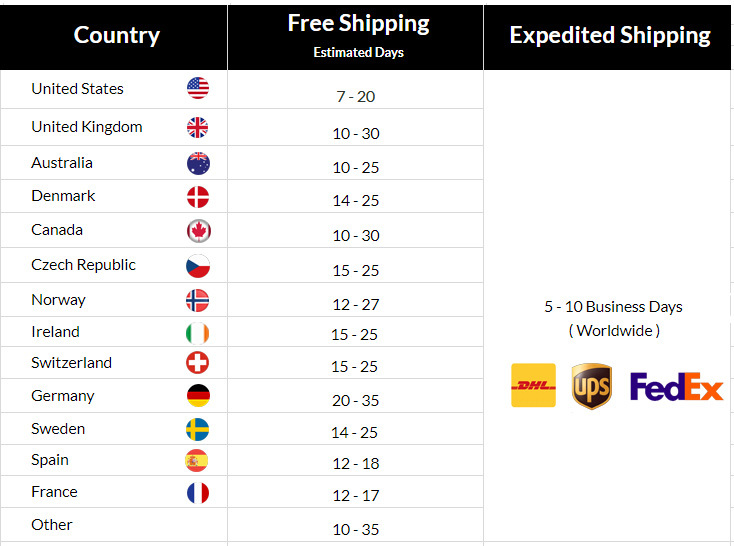 Each pair of these classic men’s suspenders is handmade using high-quality materials. 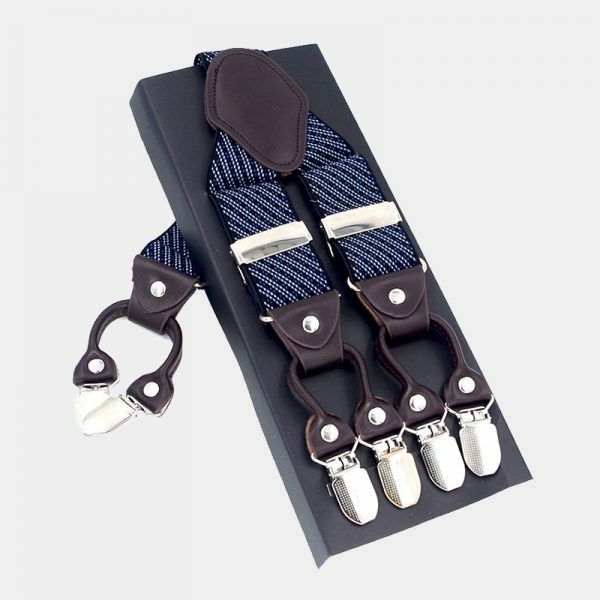 Not only is the blue steel elastic material strong and durable but it will not lose its shape with repeated use. 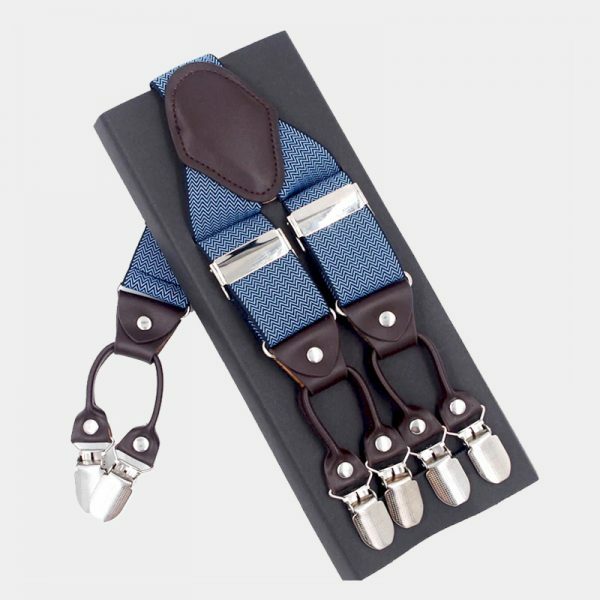 In addition, these suspenders also have four no-slip grip metal clips that hold tight to your trousers. 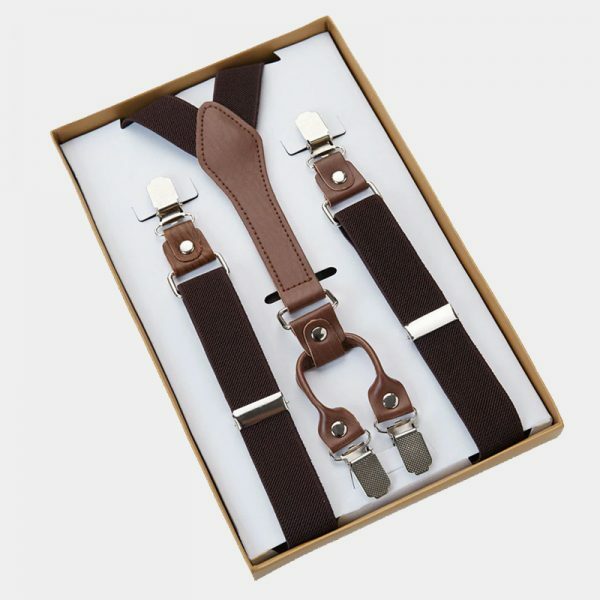 Meaning that they will stay exactly where you put them. 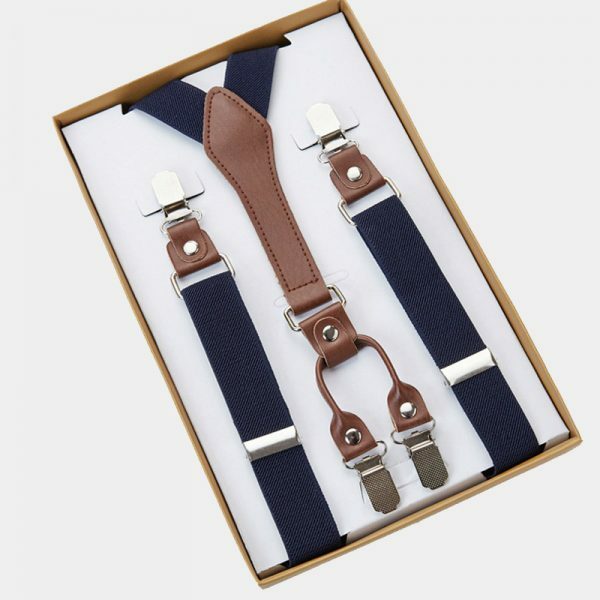 These sharp looking suspenders have a sleek and slim design. 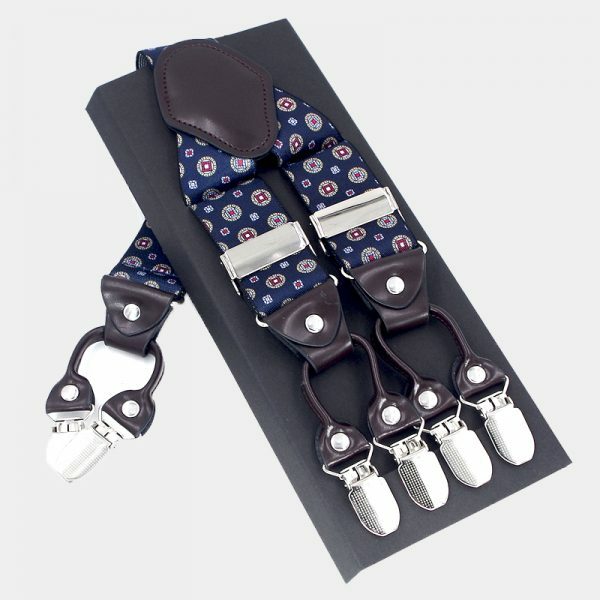 They not only add class but also style to anything you pair them with. Upgrade your wardrobe with these affordable gentlemen’s classic steel blue suspenders today.